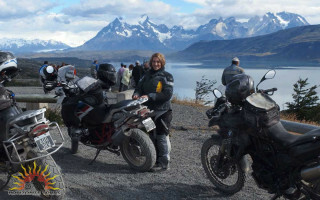 Why this Argentina Motorbike Rally? 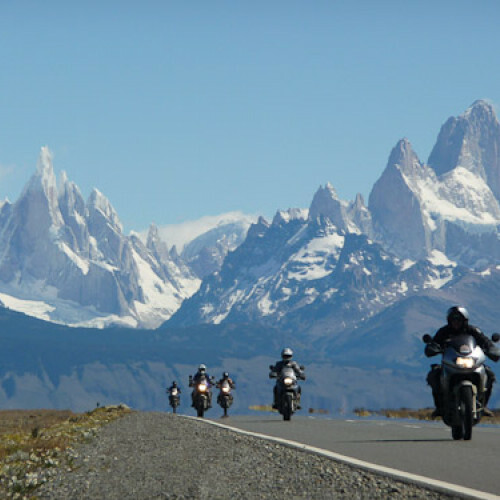 From subtropical to sub-polar, Argentina’s legendary Ruta 40 is a motorcycle odyssey to the end of the world, quite literally. In three weeks you will cross half of South America and likely cross off half your bucket list too! There's something about the idea of a motorcycle tour that summons our innate spirit of adventure. From long sweeping blast-outs on smooth highways to the challenge of keeping you and your bike purring through all the inevitable peaks and troughs; those who don't ride dream of it and for those who do, well, it’s a feeling only a biker knows. Four wheels move the body, two move the soul. Under expert guidance you will set out from Salta in the north and wind through the desert terrain of Catamarca and San Juan, follow a trail deep into the world-renowned wine country of Mendoza in the Andean foothills, through sacred Mapuche-Indian territory and into the Swiss-tinged lake town of Bariloche; gateway to Patagonia. The adventure steps up a gear when you enter Patagonia with its towering Fitz Roy peak and famous glaciers, which bring you 5,000k later to the southernmost city of the world, Ushuaia. This is for those of you who have at least a little off-road experience and after a tour of this magnitude, your renditions of Steppenwolf in the shower will positively howl with the spirit of the open road! Test yourself and your motorbike across Argentina’s wild terrain. Experience the full spectrum of Argentina’s culture. Lead the pack in daily Easy Rider singalongs!